Problem-based learning has been well-documented, from its early days in the teaching of medical professionals to its more recent use in other disciplines. It has been adopted in many educational institutions because it gives students a realistic problem and provides opportunities to translate knowledge into solutions. This article is a case study of this approach at a second-year technical course, in which members of the class were divided into groups and given a scenario concerning a fictitious organisation about to embark on a major upgrade to its existing and problematic networking infrastructure. The course consisted of two parts. The first group was provided with a set of virtual machines to upgrade, and the second group chose and implemented a major technology on this newly upgraded network. 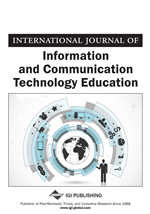 The authors outline how problem-based learning is used in this context in a way that informs the teaching of any technical computing course. By the time they reach the final semester of a two-year Diploma in Information and Communication Technology at the Christchurch Polytechnic Institute of Technology, students have completed most other courses on offer in the area of operating systems and networking. These courses usually follow a dual format of staff covering a particular topic and then students engaging in activities that illuminate, reinforce and clarify the topic. Students are able to understand a topic because the tasks confine, restrict and isolate areas of knowledge. It is an approach that ensures courses are well structured, comprehensive, and thorough, all important elements if students are to gain a basic mastery and understanding of the discipline. At the same time, this approach by definition splinters knowledge artificially into manageable constituent components that mask the real nature of a network as an intact, integrated, interconnected system. Problem-based learning can therefore be highly effective for more advanced studies because it creates “unified and dynamic wholes (from previously separated components) to effect the transformation of learning” (Beckwith, 1988, p. 4). This article is a study on the use of the problem-based learning approach in a course called “Network Administration (Project)”, which seeks this kind of “expanded view of purpose” (McDonald & Gibbons, 2009, p. 383), by giving students a scenario that provides an opportunity firstly to utilise skills learnt in a number of other courses and apply these skills in new ways and secondly to investigate and work with a range of systems and technologies with which they are not familiar and have not previously encountered in their studies. This shifts the focus to “authentic intellectual work” (Newmann, Bryk, & Nagoaka, 2001), the business of solving advanced, complex problems. Unlike other, more conventional courses, Network Administration (Project) portrays knowledge as rich and dynamic in all kinds of ways, what has been described as the “principle of multiplicity” (Koschmann, Kelson, Feltovich, & Barrows, 1998, p. 88), and the experience of teaching staff support the notion that problem solving is something that can be learnt (Jonassen, 2004). Problem-based learning contains three major elements: focusing, from the start, on problems, making use of prior knowledge and seeking further relevant information, and interacting with others as part of a small group (Vardi & Ciccarelli, 2008). Network Administration (Project) encapsulates these three elements in a realistic scenario that is presented at the beginning of the course and is used all through it. The scenario raises a number of complex problems but lecturers and tutors deliberately offer no solutions. Teaching staff do address the class at certain points to clarify certain matters or announce what was expected in a particular task but no lectures take place and little conventional teaching occurs. Instead, students make use of two scheduled two-hour classes each week to work in groups, and teachers are present to clarify and support. The class are told, though, that teaching staff are to be considered managers who understood what was required at a high level but do not have specific technical expertise to resolve particular problems. This forces students to rely on their own initiative and resources, in keeping with full problem-based learning where “the nature of the problem guides and drives the entire learning experience (Ellis, Carswell, Bernat, Deveaux, Frison, Meisalo, 1999, p. 43). It ensures that learning is not restricted to the comprehension and application of certain knowledge but also extends to the more complex activities analysis, synthesis, and evaluation (Dennen, 2000).